Illini Marching Band Festival Small Schools Governor's Trophy Champions: 2000, 2001, 2002. Illini Marching Band Festival Class B Champions: 2002. Illini Marching Band Festival Class 1A Champions: 2008. 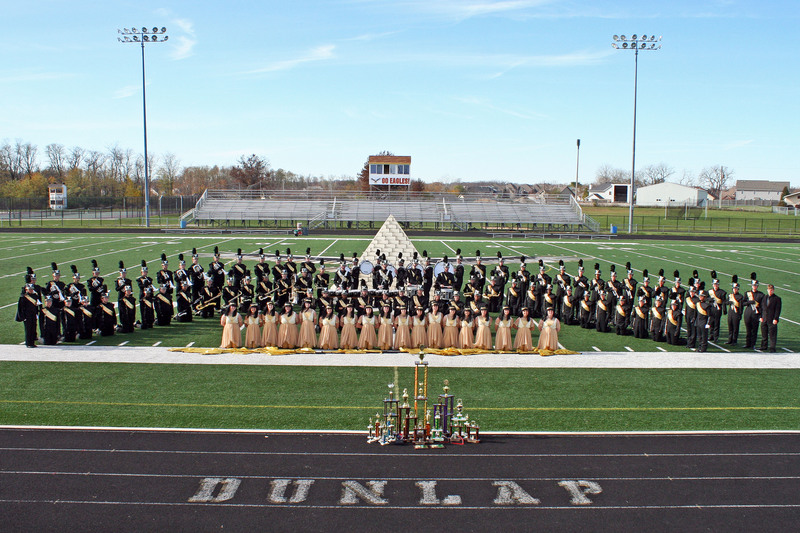 The Dunlap High School Music Program is one of the premier High School Music Programs in the State of Illinois. Over 300 + students strong, the program competes in many competitions and performs countless times throughout the year. We invite you to come to one of our performances and share in our excitement!